This is a prevalent, mixed commercial/residential building in downtown Summerside. The other tenants in the building have been there for several years. The visibility and traffic are both strong. 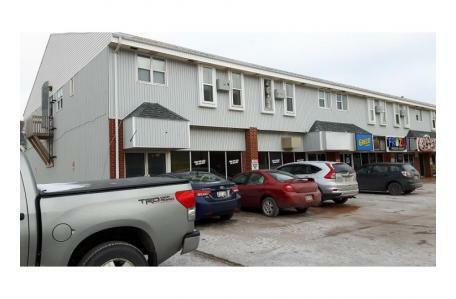 The building is also in close proximity to the Confederation Trail and the Waterfront. Nearby businesses include: Journal Pioneer, Artists Ink, Credit Union, Jars of Clay. Same-building neighbours include: Greco/Frozu/Capt. Sub, Sites & Bytes.